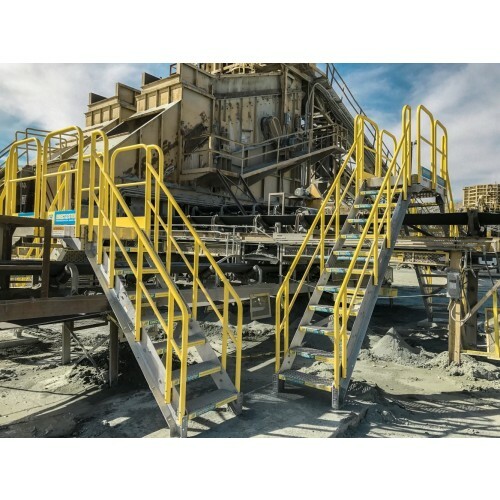 The Erect-A-Step Modular Work Platform System is a unique pre-fabricated modular work platform, stair and dolly design for use in a wide range of commercial and industrial applications. 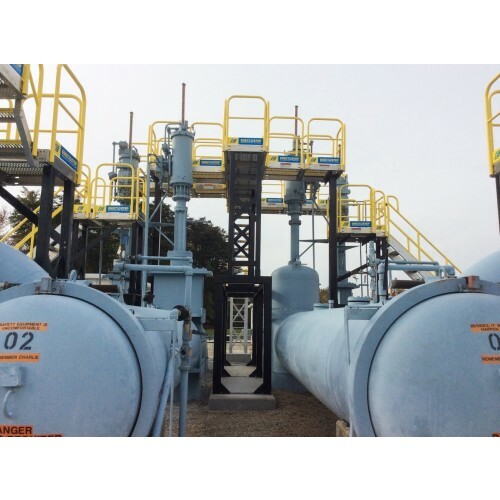 It is commonly used for pipeline crossing applications and is made in the USA. 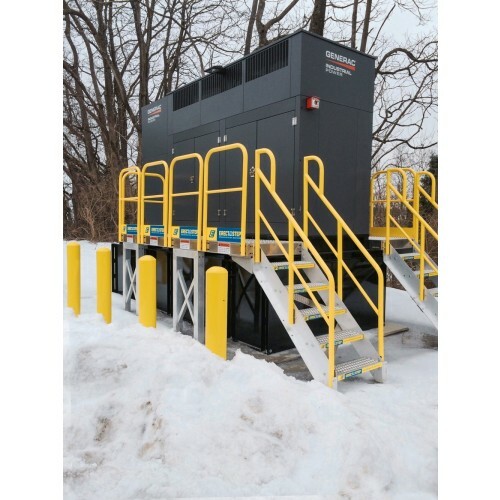 There are limitless configurations available and it can be modified at any time. 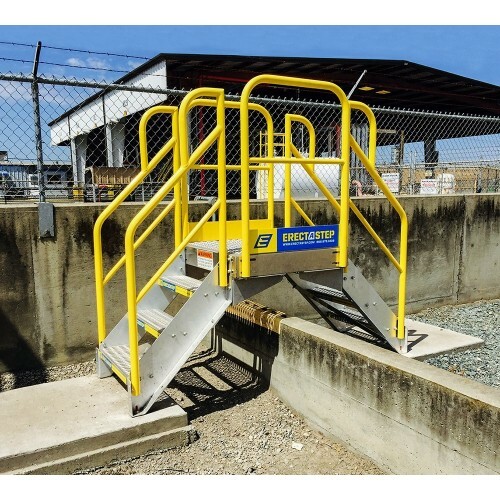 The Erect-A-Step Modular Platform System can also be used with the YellowGate fall prevention swing gate to keep users/operators safe from falling back through an opening after passing through it. 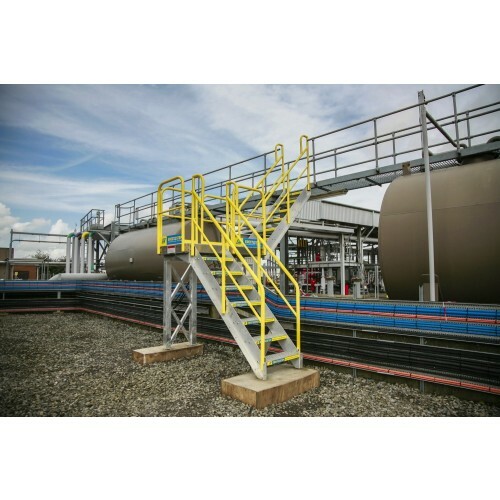 This platform’s stair heights allow for greater vertical and horizontal clearance over workplace equipment and obstructions. 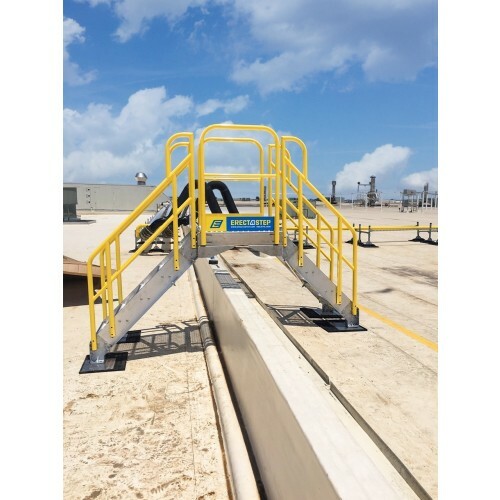 Erect-A-Step Platforms are designed to meet all applicable OSHA 1910 Regulations for the components including standard railings, stair railings, width, angle of stairway rise, tread and strength, fixed ladders, handrails, cautionary color (yellow), side rails, grab bars and ladder extensions. 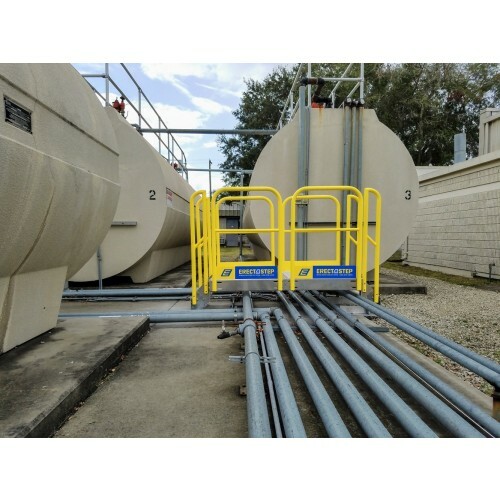 Erect-A-Step Crossovers allow for up to 9 feet of horizontal clearance without the use of tower supports or 12 feet of horizontal clearance using tower supports. 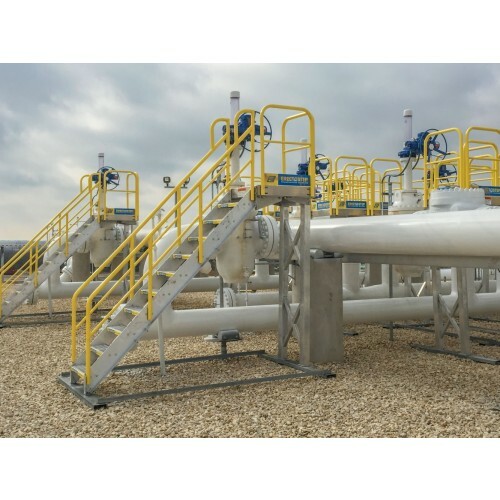 Choose from 2 step crossovers to 6 step crossovers. 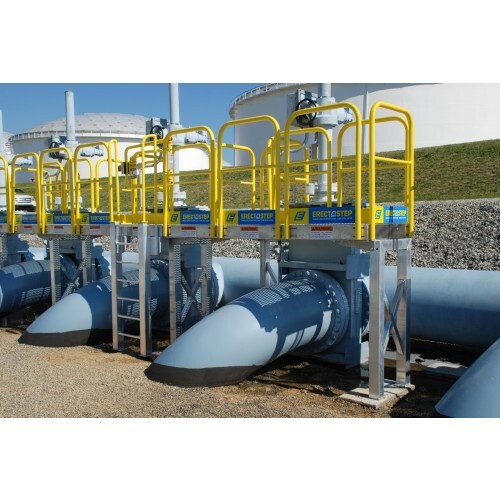 These help with rooftop maintenance or crossing over piping or earth berms. 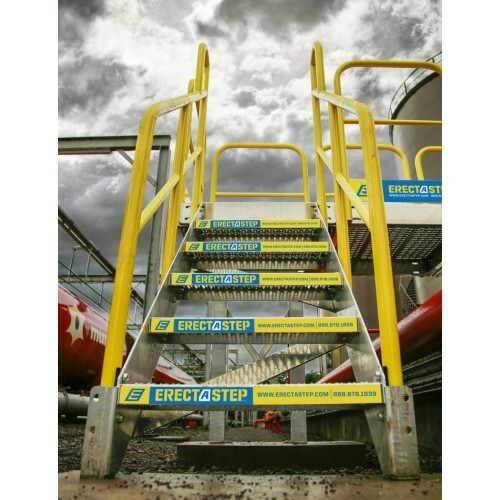 Erect A Step’s patent-pending Universal Platform Design is infinitely expandable through common bolt-hole patterns located on each side of the platform. 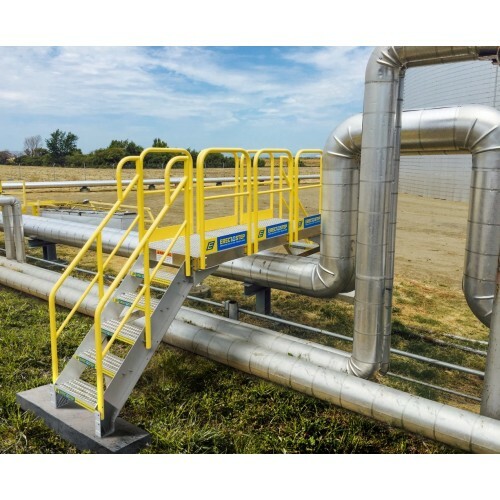 Platforms, ladders, and stairs are attached simply by using an open-end wrench and ratchet. 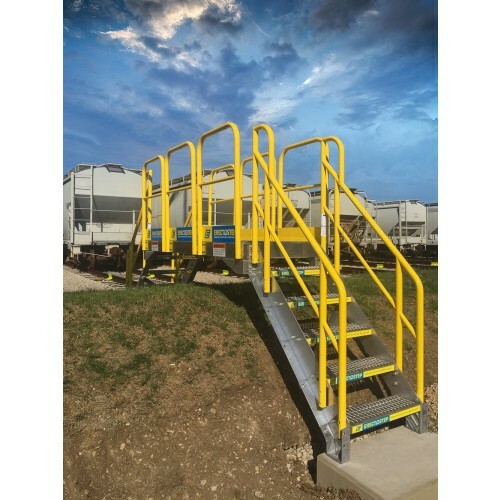 Erect A Step safety handrails are manufactured in a single standardized size and share the same bolt-hole pattern with the universal platform, which allows the handrails to be attached to any side of the platform. 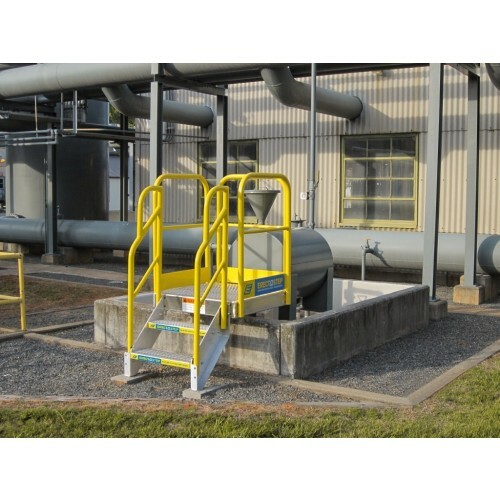 Stair units meet OSHA regulations and requirements. 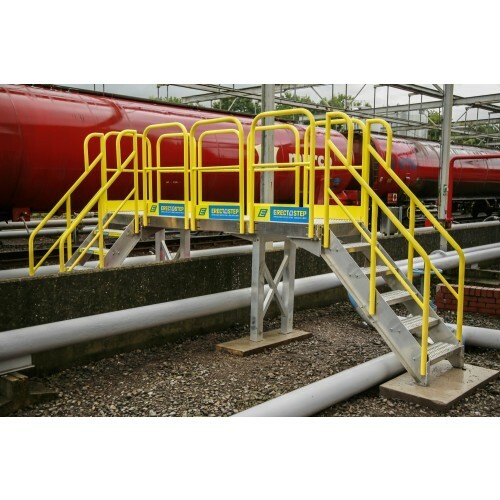 Handrails are powder coated ANSI safety yellow. 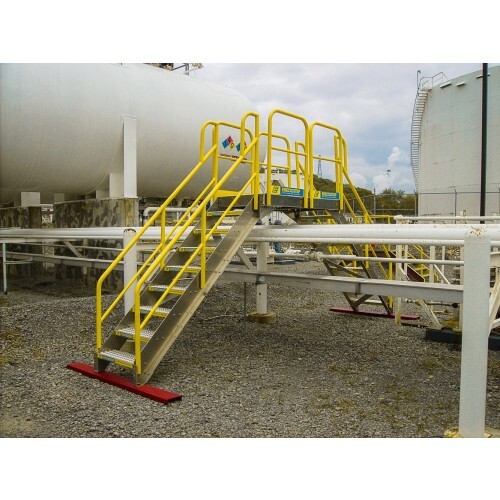 Stairs bolt to any side of the universal platform, which allows for easy customization for your application. 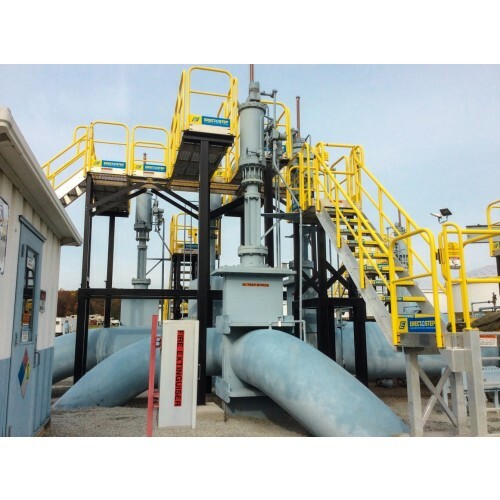 Bolting tower supports on multiple sides of the same platform. 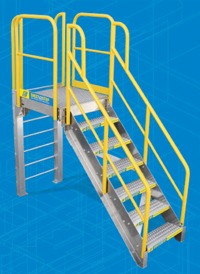 Ladder units come in eleven sizes, from one to eleven steps. 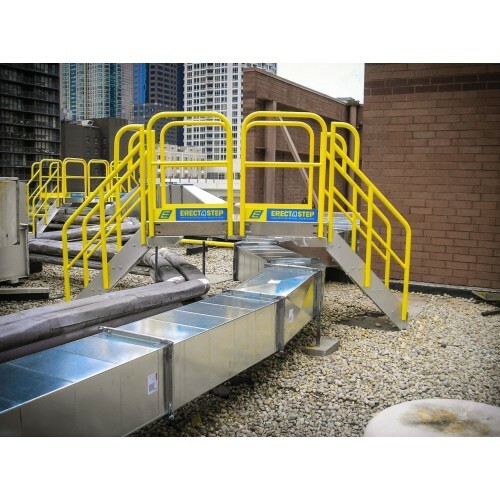 Ladder components bolt to the bottom of any Erect A Step platform with no additional parts or engineering required. 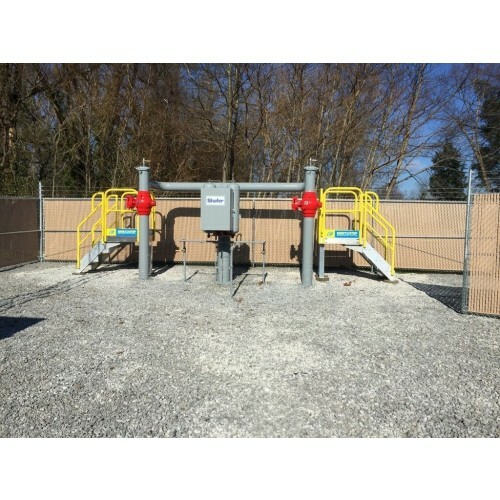 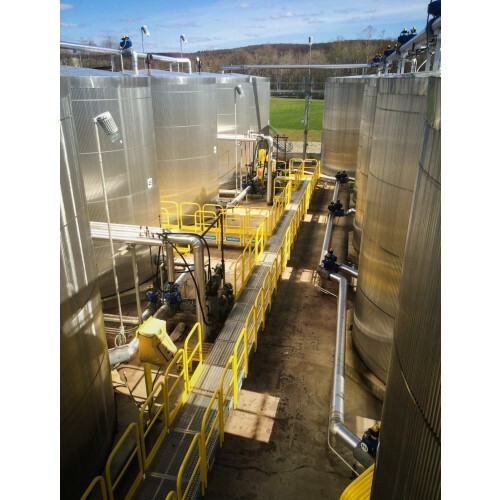 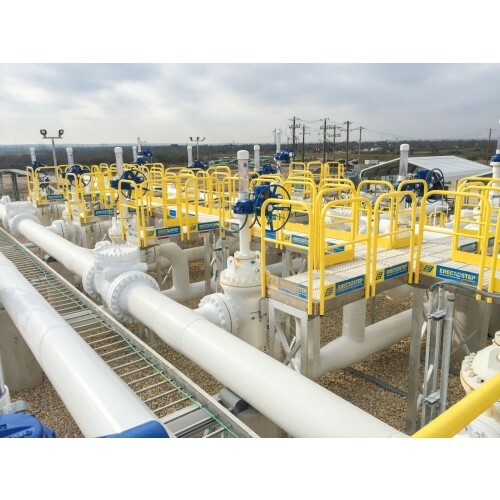 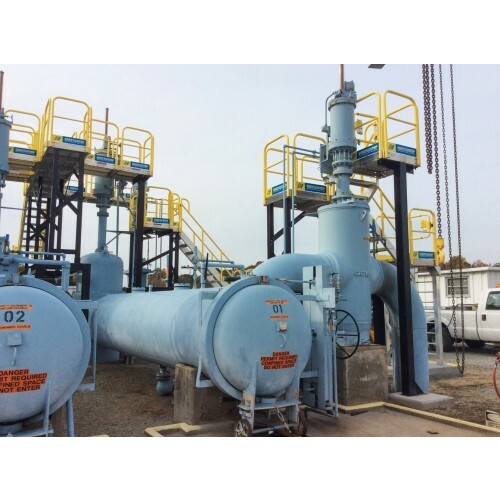 See how Arm-Tex helped NAES with one of their power plants by utilizing a modular access platform in their work area. 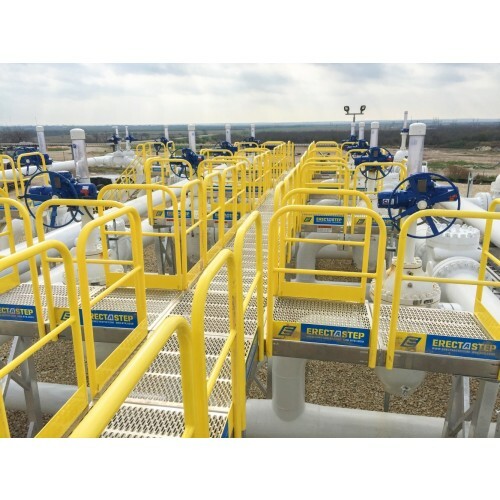 Arm-Tex proudly distributes these products all over, including areas of Texas such as the Permian Basin, Midland, Odessa, Amarillo, and even Hobbs, New Mexico. 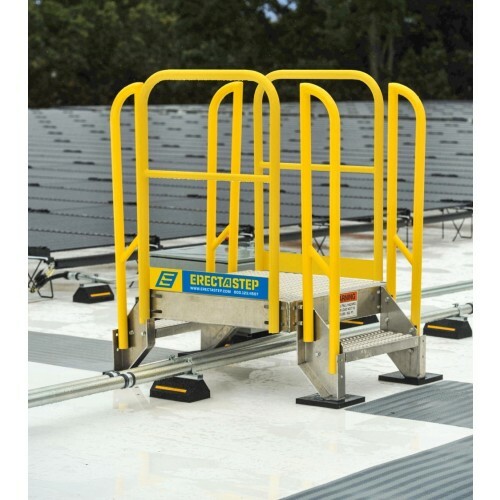 We will have inventory available for immediate shipment and we will have the best pricing on the goods Erect-A-Step offers! 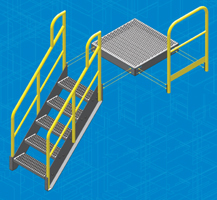 For more information about the Erect-A-Step system, please contact Arm-Tex today! 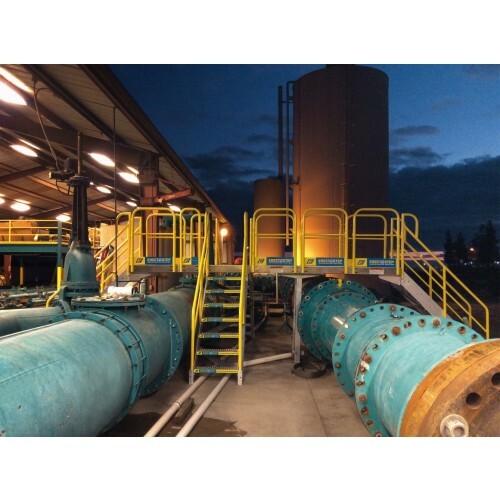 Our knowledgeable staff can help you find a solution to fit your safety needs.